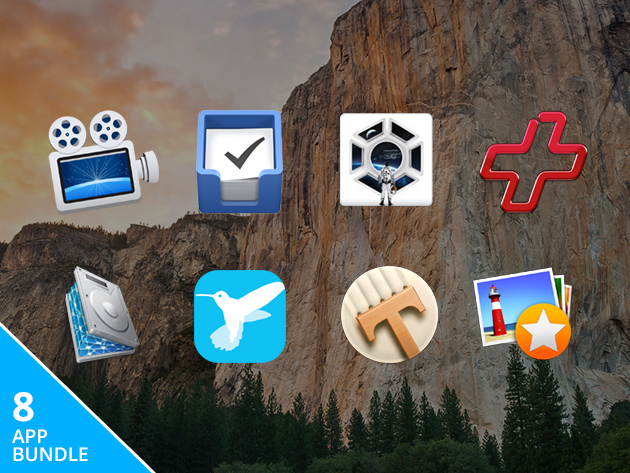 Get the most of your Mac with our bundle of top apps that help you stay productive, keep your desktop running like new, enhance your photos and chart your plan to take over the galaxy! Create tutorials, app demos and quick troubleshooting guides from your desktop with ease, with ScreenFlow 5. The latest version of this top-shelf screen capture tool lets you record video and audio from your Mac or iOS device, then edit and share it in a snap. Capture to-dos quickly, tag them for easy reference and get more done every day with this Apple Design Award-winning task manager. Things 2 features a gorgeous, intuitive interface that will help you tame your tasks and make more time for doing what you love. The latest adventure in the legendary Civilization series, Beyond Earth will see you embark on a quest to build a new world from scratch. Enjoy deep, compelling gameplay, richly detailed graphics and intense multiplayer action with up to 8 players. Whether you’ve wiped out a hard drive by accident or are dealing with a troublesome memory card, Data Rescue can bring your files back as if nothing happened. It’s easy to use, works with any file type and more effective than the competition when it comes to failing hard drives. Need a safe way to store and access your desktop files? Store them in the cloud and work on them in your favorite apps with ExpanDrive 4. This essential tool uploads your files to your online storage and lets you access and edit them as you always do — and the latest version is more reliable and faster than ever. Make your photos look their very best with this fast, powerful and flexible photo editing suite. Work with RAW and JPEG files to adjust and correct color, highlights, noise and more, and experiment with non-destructive effects. If you’re a hurry, use AfterShot’s batch processing features to fix a bunch of shots in one go. Write without distractions in a beautifully minimal interface, and make use of essential tools to help you get more words on the page easily. With neat features like auto-save, HTML preview and Zen mode, Typed is as easy to use and functional as it is gorgeous. Clear out duplicate and similar photos and save the best to reclaim hard disk space easily, with Snapselect. Trim your albums to preserve only the most stunning shots and share your photos with friends and loved ones in just a few clicks.